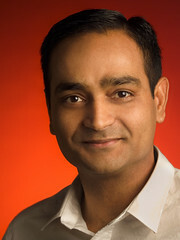 Avinash Kaushik is a best-selling author, co-founder of Market Motive Inc. and is the analytics evangelist for Google. You can catch Avinash as a keynote speaker for the upcoming SES Conference in Chicago on October 19. I was very fortunate to grab some of Avinash’s time to answer a few questions on the minds of search marketers relating to Web analytics. Enjoy this insightful interview! 1. Do you think analytics metrics such as bounce rate and time on page are playing a more vital role in keyword selection versus just high-traffic volume? 1. 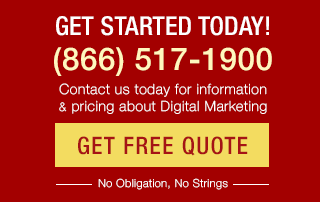 You are targeting the wrong keywords or promising wrong things in your ads, etc. 2. 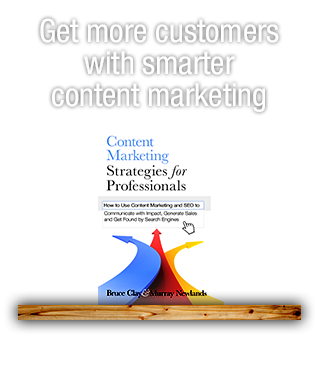 Your landing pages are broken, wrong calls to action/missing content/wrong page, etc., etc. In that sense, bounce rate helps you start finding things to fix or stop doing very quickly. But all it does is find those places. You still have to do a lot of digging to find out what’s wrong. The movement I do see, amongst the smart and cool, is a movement to deeper outcome metrics in picking keywords. Moving beyond click-through rate, or clicks or visits, to conversion rate and number of micro conversions to – and this is the sexiest – profit per dollar spent for each keyword. 2. Do you think search engines monitor analytics metrics such as time on site and bounce rate for any given website and then alter SERP placement based on the results of those metrics? Bing, Google and Baidu don’t have analytics tools or data capture mechanisms sitting on your site to compute time on site, etc. to then help them use those signals. 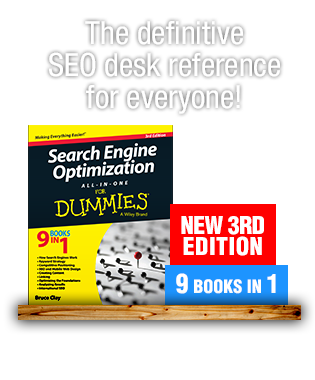 Signals that the search engines like Google are using are page load time, which is available via the Googlebot visit. 3. Now that Google Instant has officially launched, from an analytics perspective, has anything changed with the way we need to run analytics and what should we be looking for in the future? It is too early to tell what the definitive impact will be, but the types of things I am looking at are analyzing the data for top (“head”) keywords to see any traffic impact (almost none), looking for a diversity in the queries delivering traffic to the site (Is it still majorly what it was before or are Google’s predictive suggestions driving slightly different queries?) and segmenting clicks from results previous on Page 2 to see if Page 2 and beyond are still relevant or not (if not, then double down on SEO! : ). From a PPC perspective, a valuable exercise is to analyze the impact on impressions and from impressions to clicks to see what might be happening in your own account (Rather than believing some of the FUD that exists out in our beautiful blogosphere!). There is no new data that Google is passing to the Web analytics tools in the referring URL, hence all the data that you are getting before and after is the same. You should be able to do all the analysis above for SEO and PPC without having to do extra technical work on your site and do it with whatever Web analytics tool you are currently using. 4. What are the top five key performance indicators that search professionals should be most concerned with to show value of a campaign to their clients or management? All my warm hugs and kisses are reserved for any search marketer that obsesses about outcome metrics: Revenue. Profit. Number of leads converted after 30 days. Enhanced visitor loyalty (for non-ecommerce sites). Repeat purchases in subsequent 60 days, etc., etc. It pains me that more of our community does not obsess about outcome metrics; we are far too charmed by activity. If you want to build a robust measurement program for search, you should focus on acquisition (click-through rate, lost impression share, etc. ), site efficiency (bounce rates, cart/checkout abandonment rates, etc.) and outcome metrics (the ones mentioned above). Having an end-to-end view is great in helping you find opportunities faster. But in the end, my love is reserved for those who 1) Understand what outcomes they are delivering for the client/business and 2) Obsess about delivering those outcomes. For more information from Avinash on all things analytics, visit his blog, Occam’s Razor by Avinash Kaushik. For more information or to register for SES Chicago 2010, where Avinash is a keynote speaker and Bruce Clay will be presenting on several topics related to SEO, visit the SES Chicago 2010 page. I´d like to use this interview on my blog @ IDG Brazil and get some SEO pros to comment on it. Accurate translation and full credit are paramount. Hi Alejandro, thanks for reading! Identifying the proper goals will allow you to use the correct metrics and drive you to achieving your objectives. Hi, Alex — glad you came and took the time to comment! We were wondering the same thing, which is why I wanted to ask Avinash himself. Hi Jessica, this is my first time on your blog, and I appreciated the reading. Also, I was quite surprised with Avinash’s answer on question 2 ! I was really thinking that Google could consider bounce rate as a factor that could influence SERPS. Does anyone have any opinion / experience about this point please ? You’re very welcome and thanks for the tip to check out his recent blog post! I never miss a day with out reading Avinash blog or comments or his videos… A true leader in the world of analytics. His recent post on the his websites covers the fourth question mentioned above in more detail. And thanks jessica for posting above questions. Seems like a fair assumption. Thank you for reading and taking the time to join the conversation, Andrew! Great answers from Avinash! AS for Google Instant, like he said it’s too early to tell but some are already experiencing a drop in traffic because the guess is that searchers are getting distracted by the search suggestions coming up and thus they take a detour. Sure, feel free to write about it! Not sure if a translation service will keep the integrity of the meaning word for word if you are directly quoting; maybe a recap by you in Russian of the highlights to make sure it’s as meaningful as it can be? Thank you for wanting to share, glad you enjoyed! Really good article, Jessica. Thank you much! Dont you mind if I make a translation of it on russian to make it possible for all my collegues and our non-english-speaking community to get the information? Of cource I’ll place a link to your original article. Once the Google analytics script loads and you bounce it is counted as a bounce. Google Analytics itself does not make decisions. It either executes and tracks the bounce or it does not. Is the bounce rate take into account if the page is too slow loading and they leave before it is loaded? Thanks, Andy! He was great to work with. Good stuff, I always love hearing what Avinash has to say. Knowing what can be measured is super important, else we end up living in the dark. There are two brilliant companies that provide sophisticated and cheap phone call tracking for your websites. Mongoose Metrics & ifbyphone. Check them out. If you use them you can go validate your hypothesis if your super high bounce rate is because everyone called (awesome!) or it is because the site stinks (not awesome!). Don’t ignore, investigate. My personal mantra. The company that I work has a lot of small-business clients. We don’t pay a lot of attention to the bounce rate because we don’t have anyway to tell if they just grabbed a phone number and left. Statistics are only useful if you know what is being measured. The next step is understanding what it means to you, your site, business etc. Geo: You are absolutely right, not every metric is right for every business. You’ll have to apply your own knowledge of your business and your smarts to figure out what is optimal for you. Then bounce rate is not a great metric for you to use. Then bounce rate is a great diagnostic metric for you. It won’t solve all your problems, it will just give you clues as to where to start looking for issues. But it is a great metric for that purpose. Ask that question. Choose the appropriate path. PS: With regards to if Bounce Rate is the right metric for blogs please see the “An Exception” part in this post: http://zqi.me/akbounce I also recommend reading comments 153, 157, & 164 on that same post. My honest respect ot Mr. Kaushik, lots of what I know about analytics I learned from him, but I disagree with the strong opinion about bounce rate and the ““I came. I puked. I left.” metaphore. Glad you enjoyed it — it was great hearing straight from the man! Nice article Jessica – the future of SEO is definitely going to include a lot more outcome based research/data.